I feel a little crazed right now. I’ve got more ideas than I can keep up with, an office that looks like a disaster area, and a Toddler who keeps me on a very, very short leash. I should tell you that behind that rather underwhelming statement is an enormity of stress and pressure and frustration that I am loathe to expand upon. Why stir up stinky fumes? Instead I will focus on what will make the situation all better. And that is words. Lots of words. No matter what is going on in my life, if the writing is going well, then everything else is going well, too. With that said, I am accepting the Household Dinosaurs’ 100,000-Word Challenge. 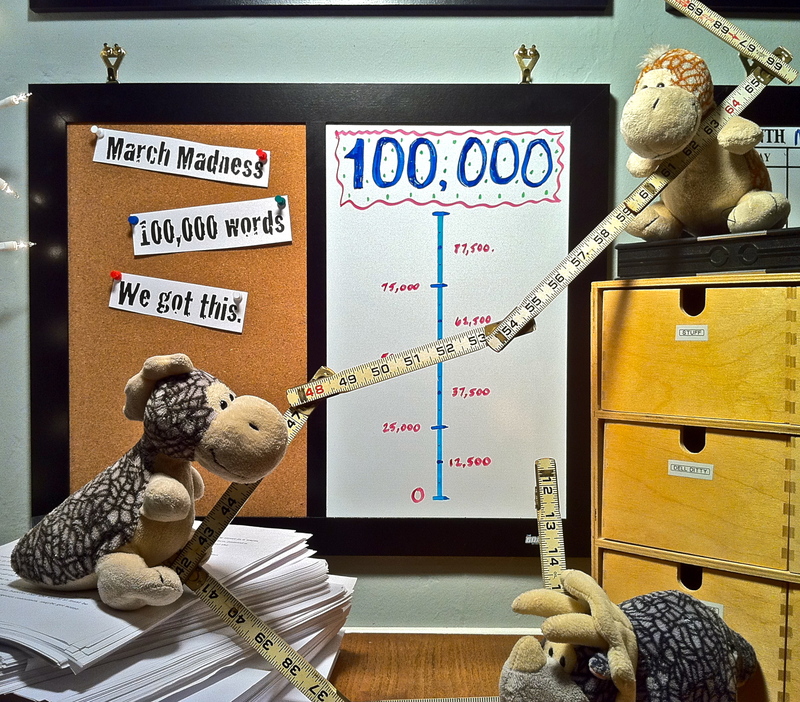 You help me pile up 100,000 words, and I am told there will be fog and a disco ball and aerialists next month. No kidding. 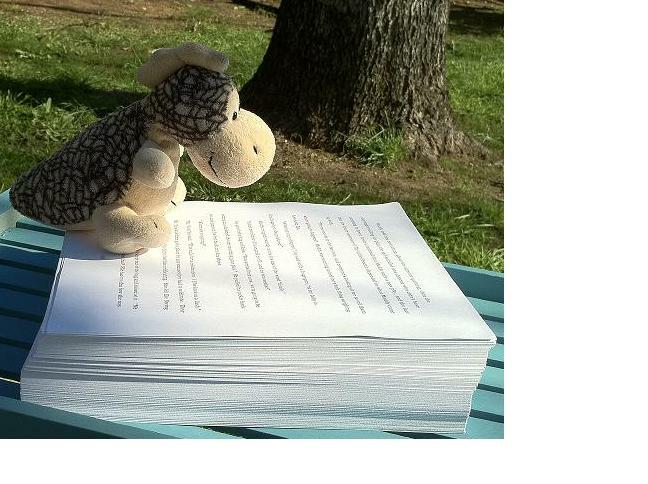 * Actually, we only need to write 99,330 words because apparentbook rocks. Thank you, sir! Gallery | This entry was posted in Crazy People, Fun Stuff, Getting Things Done, Goal Setting, Inspirational, Writing and tagged 100k word challenge, apparentbook, craziness, dinosaur party, postaday2011, Writing. Bookmark the permalink. I’ve taken a brief hiatus from my newly started blog, but after mid-March, I will be contributing too!! (yay!) I want to see me some adorable aerialist dino’s! Love the title of this one! And I’m in! I have taken a hiatus groom worrying about keeping my blog updated, but I will still try to contribute to this since I will still be writing (I am always writing). Yeah, actually, this Hiatus thing is almost more difficult for me than finding the time to blog. Now what? I guess I will give myself some more time to settle into my new “routines” and then I will work my way back into blogging when it feels right, and not feeling like I am shirking my other responsibilities. Oops. I offer up the 640 words of my 3/4/11 post. I hope I’m able to contribute a whole lot more. I’m actually feeling a lot of March Madness. Unfortunately, I think it is of the March Hare variety. Let’s hope it at least adds up to more creativity!